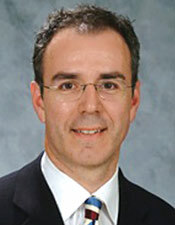 Dr. Casas is a graduate of The University of Western Ontario (London) and the University of Toronto. He is Director of Clinics (Dentistry) and Project Investigator (Research Institute) The Hospital for Sick Children, Toronto, Canada. He is Associate Professor of Dentistry and a member of the School of Graduate Studies, University of Toronto where he teaches in the Graduate Program in Pediatric Dentistry. He has published numerous scientific papers in the areas of primary pulp treatment and dental trauma.